Goodbye 2016 and hello fresh start. With the new year as motivation, chances are you’re eating more leafy greens and finally carving out some gym time. But are you also starting to reflect on your career and think about how you can move it forward between now and next NYE? Career goals naturally make their way into New Year’s resolutions because, let’s face it, if you work full-time, you spend a lot of time at your job. 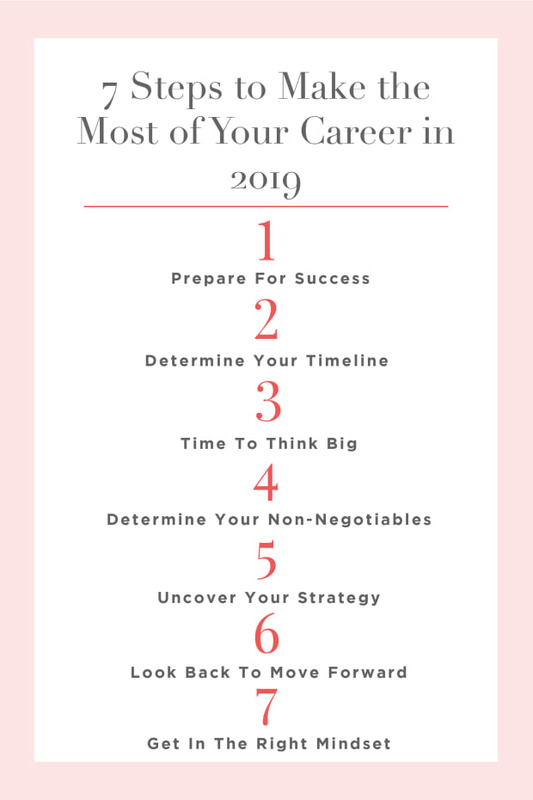 Being the ambitious woman that you are, you’re no stranger to thoughts like, “What do I want to do next in my career?”, “How can I advance within my job?”, or “How can I ready myself for a promotion this year?” The list goes on but the point is: You’re proactive about your career future. 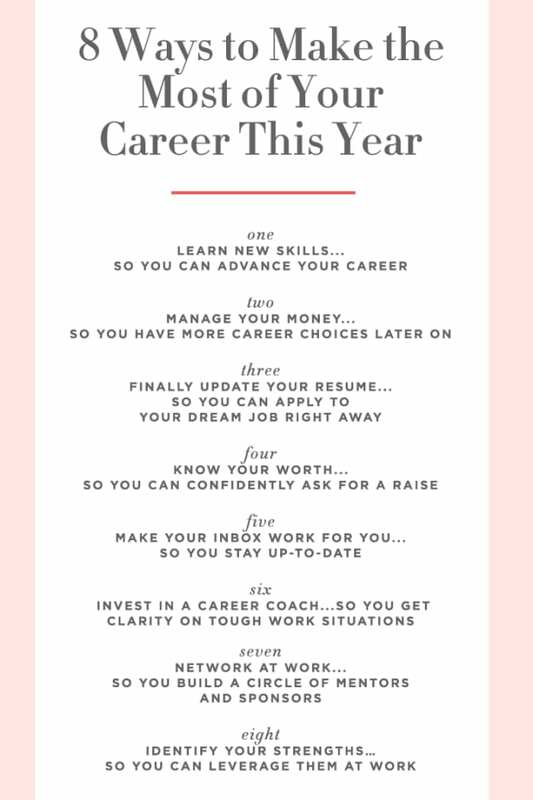 Given that I run a online career site for women, it seems only fitting that I should share my best tips for making the most of your career in 2017 regardless of what state your career is currently in. The 7 tips below will help us all stay on track this year and totally kill it. 1. Train for your promotion. Here’s the thing about promotions and raises—they rarely just “happen.” Book a meeting with your boss to ask her what skills or experiences you need to develop to advance to the next level. Next, fill those skills gap by taking online classes through a site like Skillshare. For less than $1, you can teach yourself everything from public speaking to email marketing to Google Analytics. 2. Create your professional support team. Develop relationships with people that will help you advance in your career by advocating for you, sending you a job referral, offering insight, etc. Start by finding people at your current company or at companies you’re interested in. If you’re not sure what companies interest you, consider the sites you visit daily, the products or services you’re a fan of, or a company you could see as a potential employer in the future. Don’t be afraid to reach out via LinkedIn to a company’s current employees with some questions about their own careers. Go to lunch, follow-up, and build a genuine relationship before you need something from them. Keep a work journal to track your accomplishments, feedback, areas for improvement, and new ideas for your job to share with your boss. 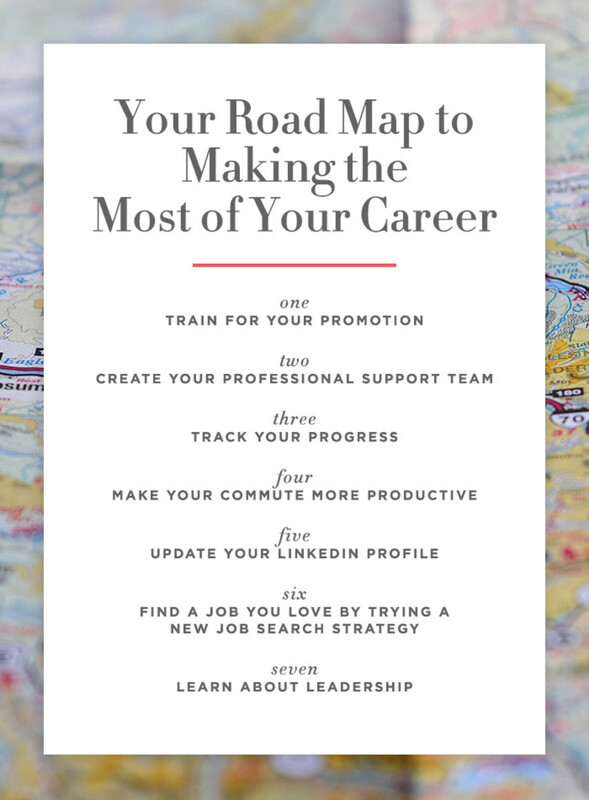 These days, companies want their employees to be in the driver&apos;s seat of their own career growth, and a work journal will help you keep your big career picture in mind without losing yourself to daily to-do lists. 4. Make your commute more productive. Living in LA means I’m pretty much required to have a work commute, but I’ve learned to really make this time work for me by listening to podcasts or books on tape that open me up to new career ideas, people, and resources. When your parents told you that a job wouldn’t just land in you lap, they were...wrong. Sorta. 94% of recruiters use LinkedIn to help them source candidates for open roles. Optimize your LinkedIn profile and let the recruiters woo you into an awesome new job! 6. Find a job you love by trying a new job search strategy. 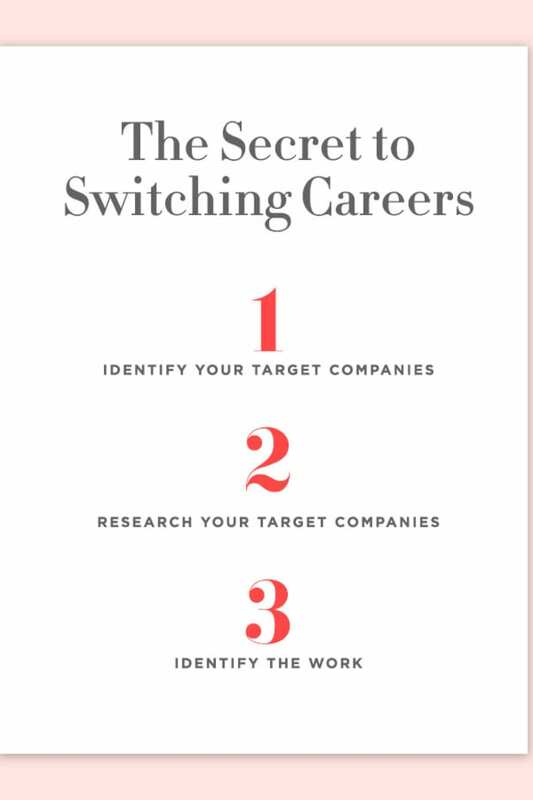 The secret to job search success is targeting a company first and then working your way into a job there rather than the usual approach (applying for countless jobs online, then crossing your fingers). Online job sites have a reputation as internet black holes for a reason. 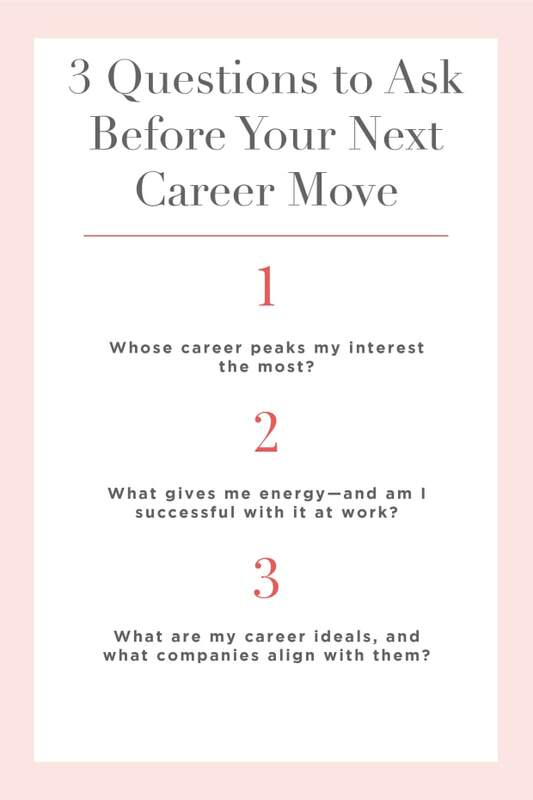 Download this free worksheet to help you figure out your next career move so you know which companies to focus your time and energy on. Leadership skills don’t only apply to managers and C-suite executives. Start learning and preparing yourself for leadership with these 7 leadership books. Because at a minimum, you’re the leader of your own life.